Between now and Dec 15th we’re offering 20% off ALL items in the Natalie Merchant online store. Enter the voucher code “WINTERDEAL” at checkout to receive the discount. And may we humbly suggest for your holiday shopping: The Natalie Merchant Collection – the 10 disc, career-spanning box set compiled by Natalie herself, and released this past year. The package includes a 100-page lyric book and pictorial history. Or, if you have little ones on your list, we also suggest the Leave Your Sleep album and/or the Leave Your Sleep Children’s Book with illustrations by Barbara McClintock. Natalie attended the premiere of “Wonder” in Los Angeles earlier this week on November 14th. The film is based on R.J. Palacio’s young adult novel of the same name – which was inspired by Natalie’s song. 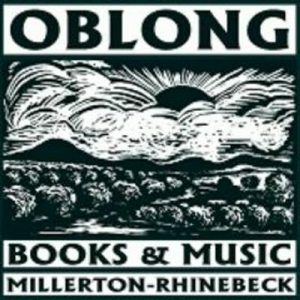 Oblong Books & Music in Rhinebeck, NY will be hosting an in-store event with Natalie tomorrow night at 8pm. Natalie will be in conversation with author Elizabeth Lesser (cofounder of the Omega Institute), with an audience Q&A to follow. Natalie will also be signing copies of her new box set – which will be available for purchase at Oblong. The event is free and open to the public on a first-come / first-serve basis. Doors open at 7:30pm. More info here. 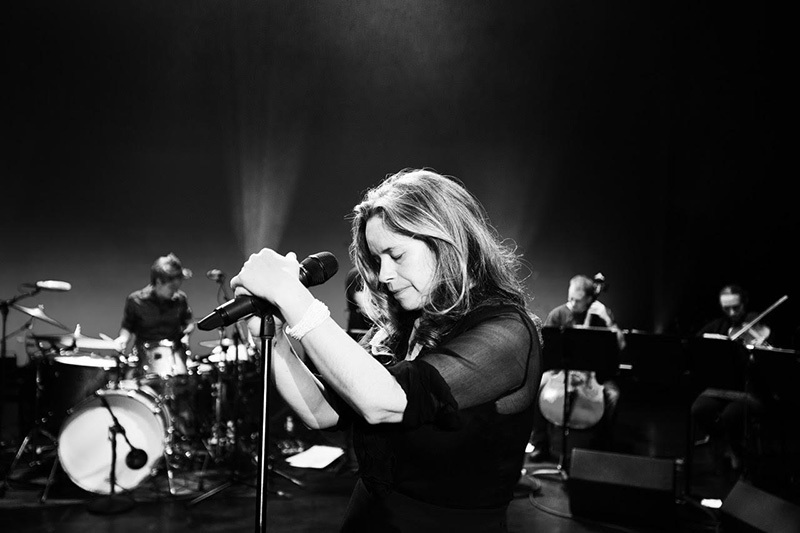 For select concerts on Natalie’s ongoing tour (Natalie Merchant: Three Decades of Song), Natalie is auctioning off special ticket bundles including: a pair of reserved tickets, a meet & greet with Natalie, and a signed copy of her new 10-CD box set. All proceeds from the auctions will be donated to the organization Food & Water Watch, which champions healthy food and clean water for all. The auctions are taking place HERE where many of them are still in progress. Natalie Merchant will tour the US this summer, performing songs from across her entire career, with Natalie Merchant: 3 Decades of Song. The tour includes dates at Tanglewood, Wolf Trap, and The Greek in Los Angeles (see full schedule here). In support of her career retrospective boxed set on Nonesuch, Merchant’s concerts will span her thirty-year recording career, with songs from 10,000 Maniacs and from her solo albums. A string quartet joins Merchant and her regular band for the shows. 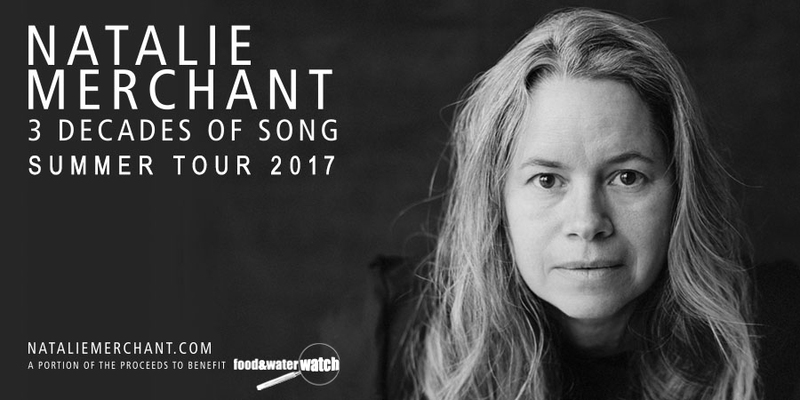 A portion of the proceeds from Natalie Merchant: 3 Decades of Song will be donated to the organization Food & Water, which champions healthy food and clean water for all. We’re incredibly excited for the release of Wonder, a beautiful and moving film about acceptance, based on the novel of the same name by R.J. Palacio. The film is directed by Stephen Chbosky and stars Julia Roberts and Owen Wilson as the parents of a young boy (portrayed by Jacob Tremblay) struggling to overcome a facial difference. The film will be released on November 17, 2017 by Lionsgate. Author R.J. Palacio has often credited Natalie’s song “Wonder” from Tigerlily as the inspiration for her best-selling book and at her invitation, the song will be featured in the soundtrack. 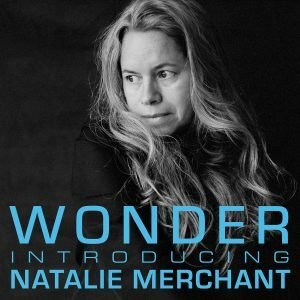 Nonesuch Records releases The Natalie Merchant Collection—a deluxe ten-CD box set compiled by Natalie Merchant—on June 23, 2017. The Natalie Merchant Collection comprises ten discs, including all eight of her solo studio albums from the past three decades. A ninth disc, Butterfly, is a new studio set featuring four new songs and six reinterpreted selections from her catalog, all arranged for string quartet. The final disc is Rarities, a collection of fifteen rare and previously unreleased tracks recorded between 1998 and 2017, which offers a unique view of Merchant’s creative experimentation through home studio demos, album outtakes, live tracks, and collaborations with diverse artists like Billy Bragg, David Byrne, The Chieftains, Cowboy Junkies, and Amy Helm. The package includes a 100-page lyric book and pictorial history of the singer-songwriter’s solo career—an archival treasure box for collectors. Pre-orders are available now in the Nonesuch Store with an instant download of the new recording of “Frozen Charlotte” from the Butterfly disc.